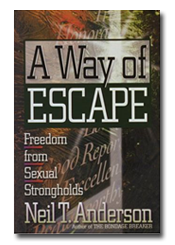 For people trapped by unwanted thoughts, compulsive habits, or painful pasts, Anderson provides steps to overcome sexual strongholds. No matter how high the walls, escape is possible. Readers will discover practical and biblical insights to help them discover true freedom through Christ.